Smith Ranch Homes is a luxury retirement community of condominiums and villas for active adults over 55 years of age, located on 30 acres in the heart of Marin County. We performed an extensive upgrade to the building exterior in 2015. Scopes included replacing the existing soffits with new concrete board panels, and integrating new roof gutters. New drain scuppers were installed at the balconies. Damaged sections of the EIFS cladding were repaired per Dryvit guidelines, and when all building joints were caulked and prep complete, the walls were coated with Drvit Weatherlastic elastomeric coating. 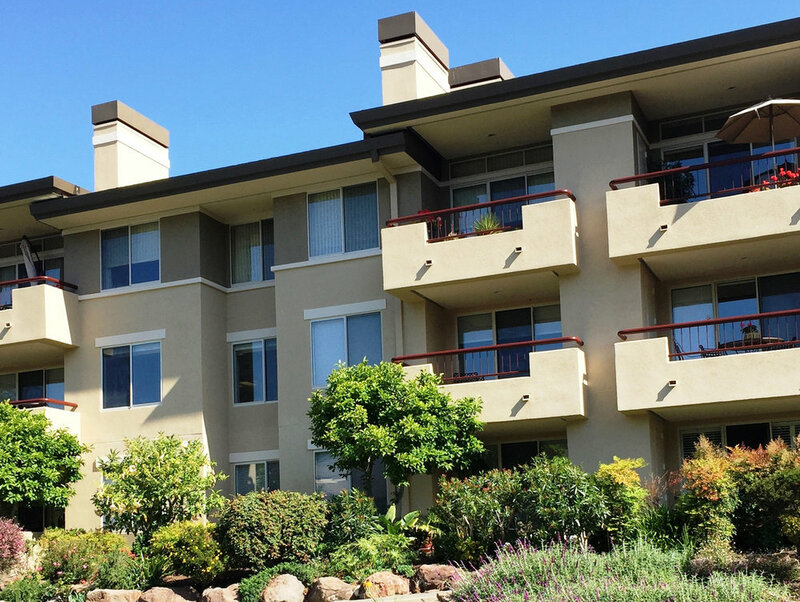 All metal railings on the balconies were treated for rust and corrosion, and coated with Kelly Moore DTM coating. Finally, all balcony decks were washed, patched, and coated with a Neogard urethane pedestrian traffic coating system.